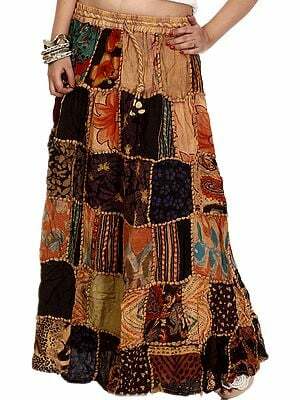 The Indian woman's fashion tradition has been the object of admiration of women the world over. 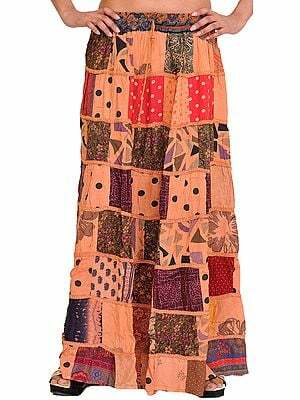 Characterised by unputdownable grace and often complex meaning, the sheer variety of styles in terms of stitches and weaves and embroideries is like nothing found in other cultures. 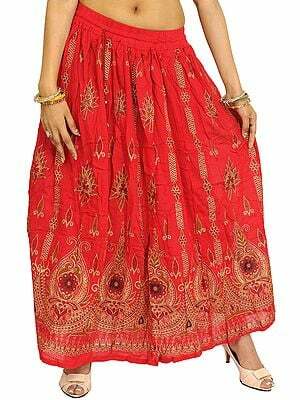 For example, while particular colours are meant to be worn at certain stages of one's womanhood (red at the bridal, yellow to indicate motherhood), certain drapes of the saree or the odhni could reveal a lot about the wearer's standing in society. 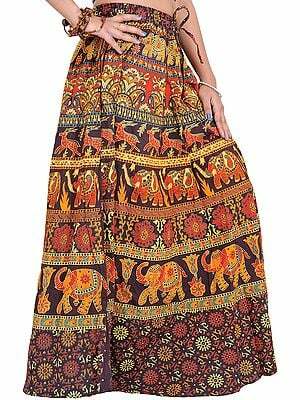 The fabrics used to fashion Indian sarees, skirts, lehengas, and suits are a class apart - pristine cottons, homegrown silks, and wools derived from the skin of rare endemic animals. 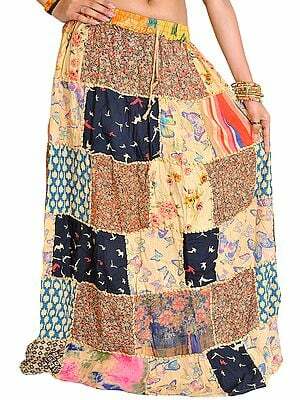 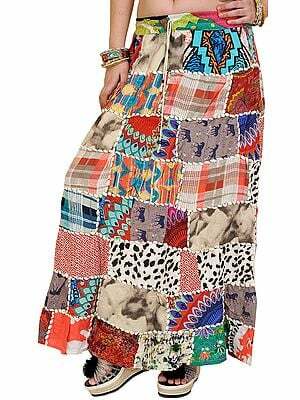 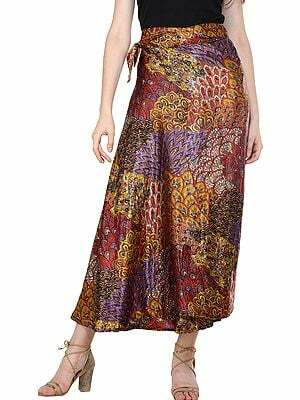 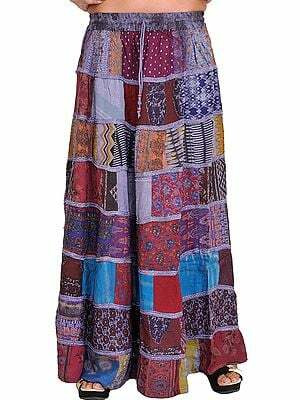 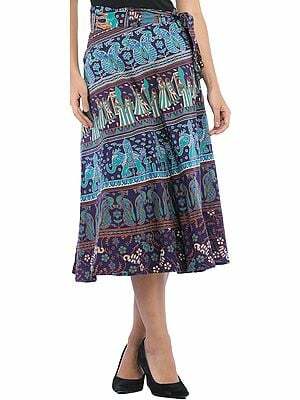 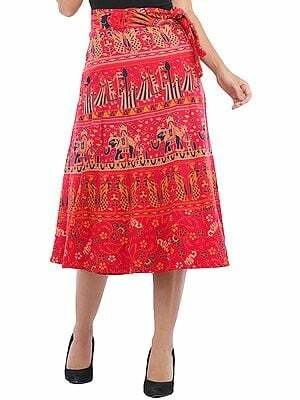 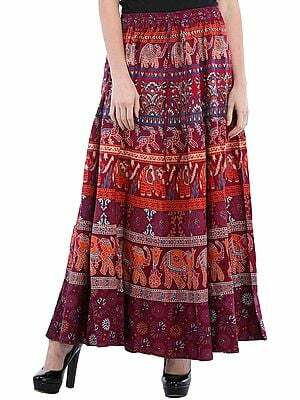 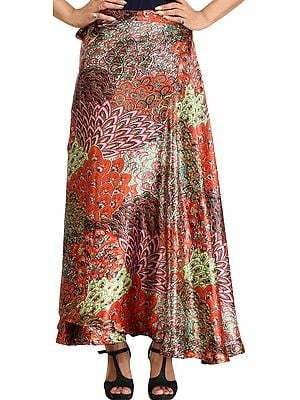 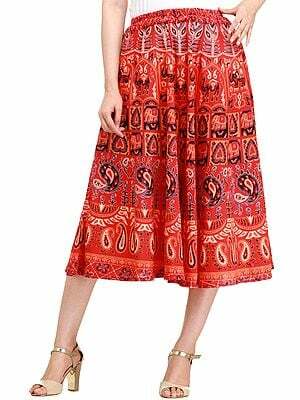 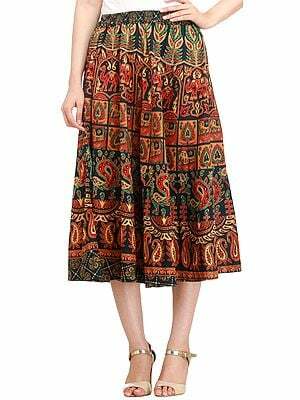 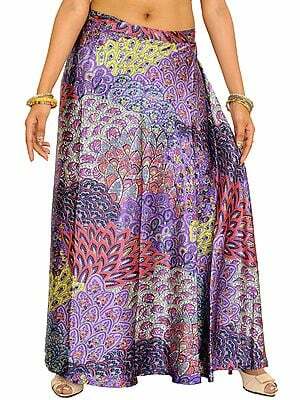 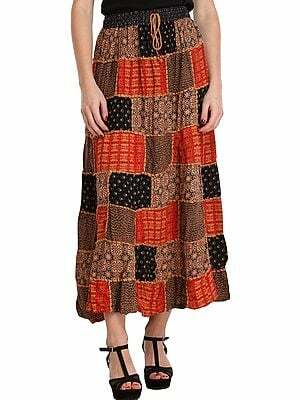 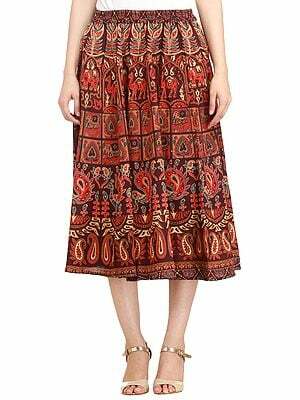 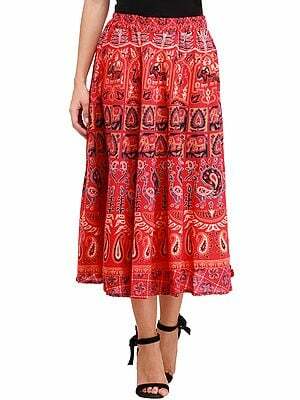 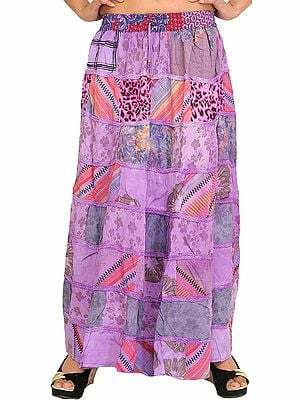 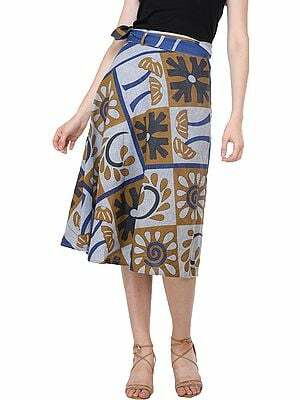 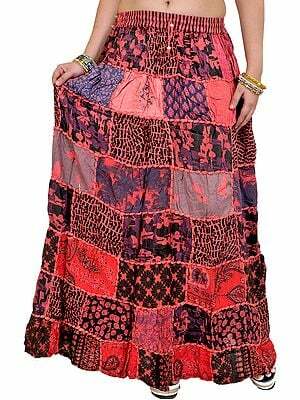 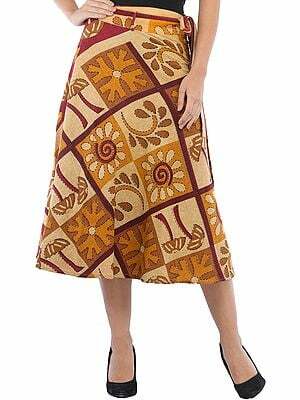 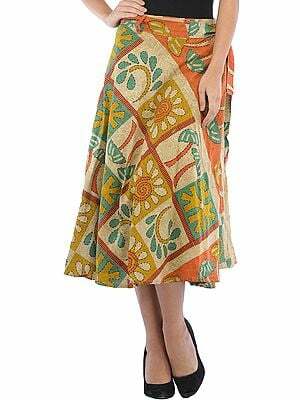 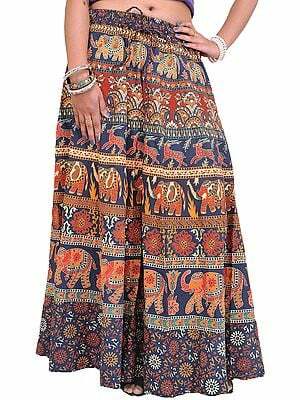 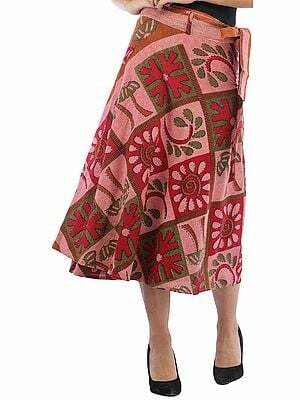 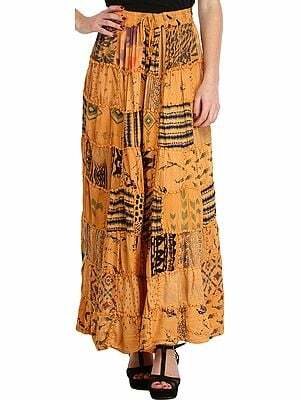 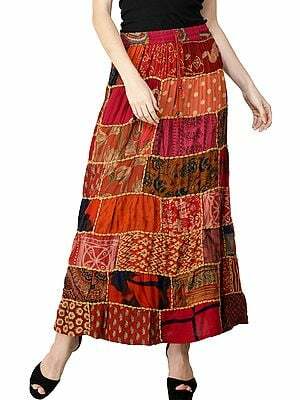 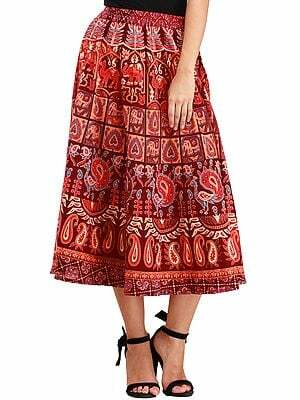 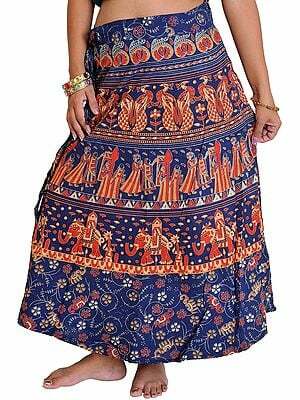 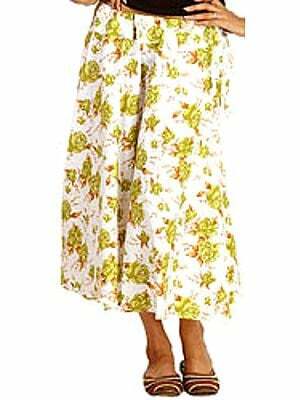 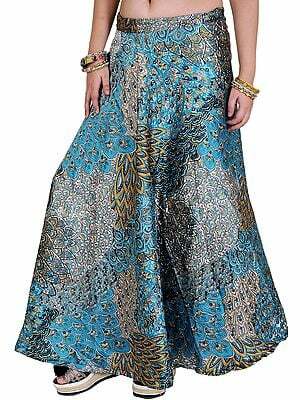 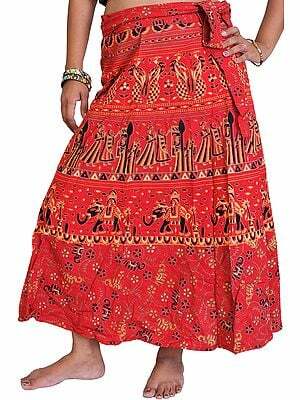 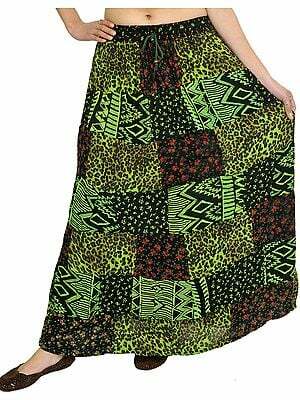 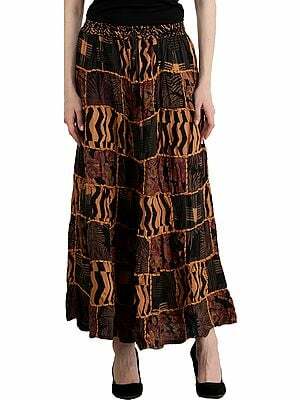 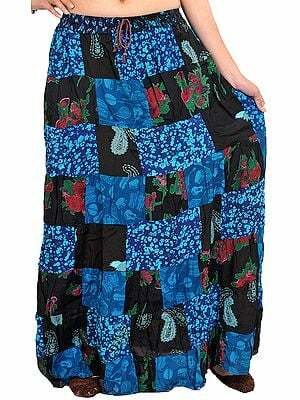 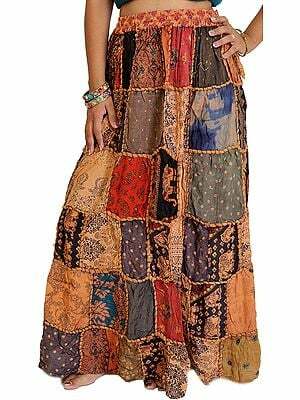 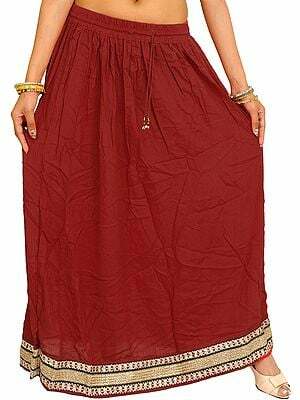 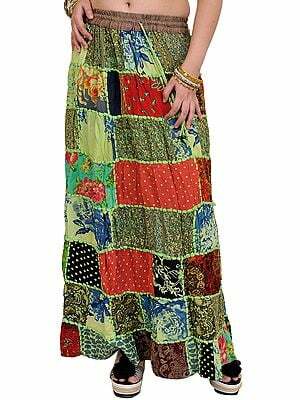 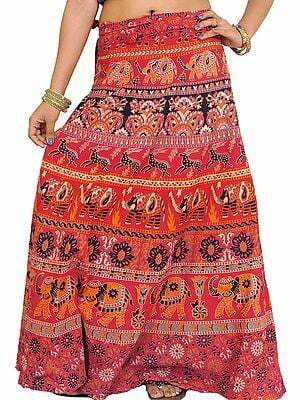 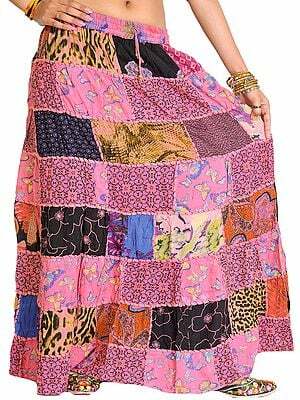 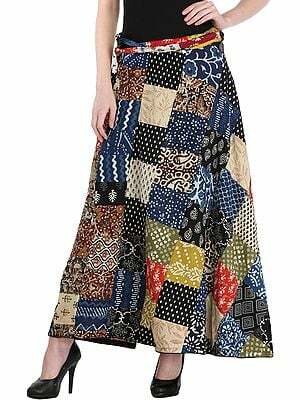 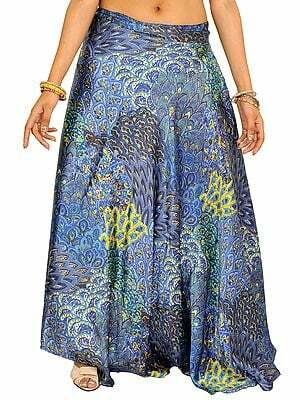 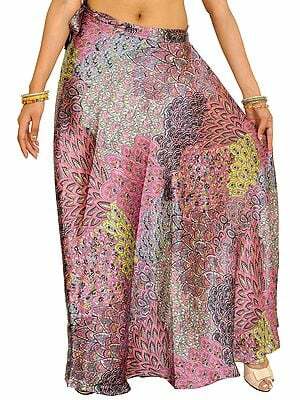 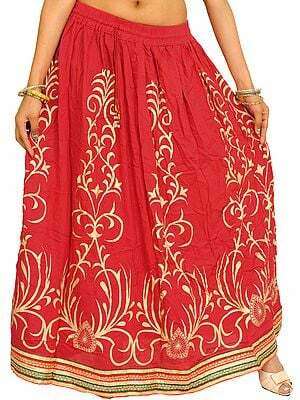 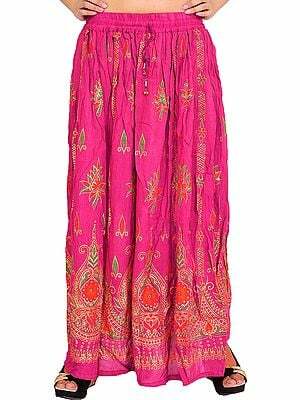 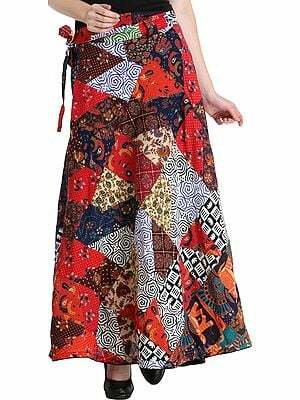 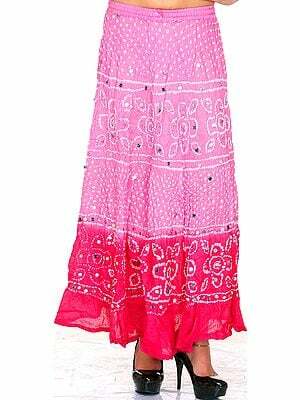 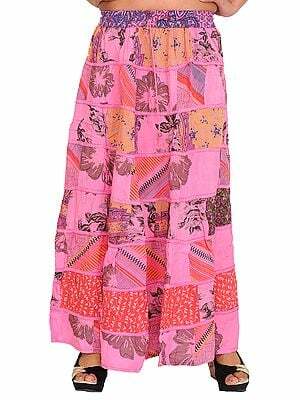 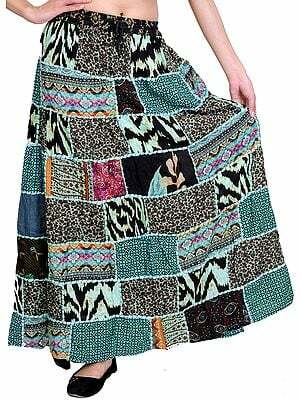 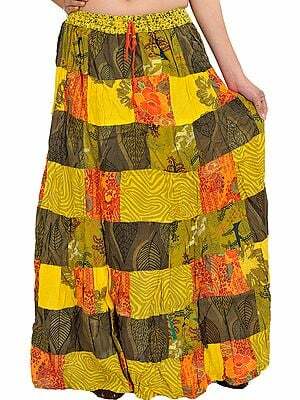 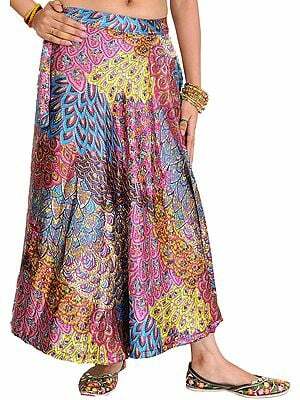 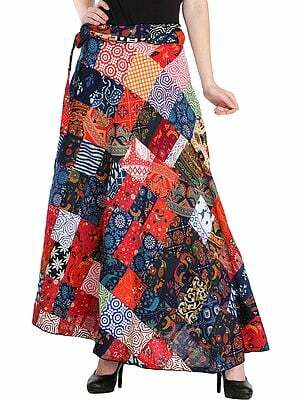 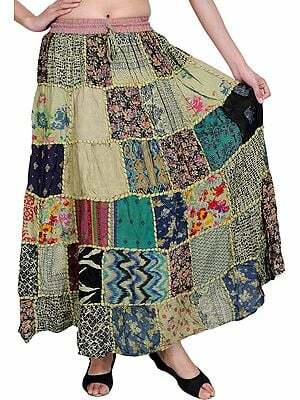 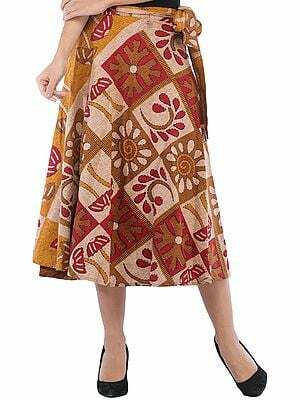 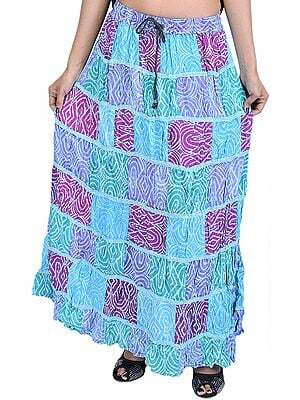 Indian skirts is one such category that has all the aesthetic appeal and earthy glamour of Indian textiles. 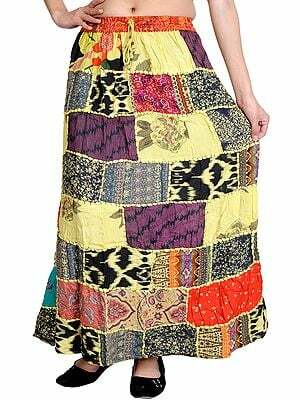 The pieces in this section have been curated with great care for not only design and make but also the ethnic statement made. 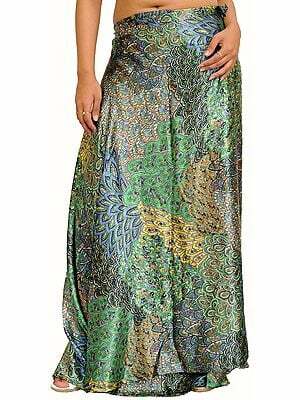 The base fabrics range from the usual synthetics to sumptuous silks and satins. 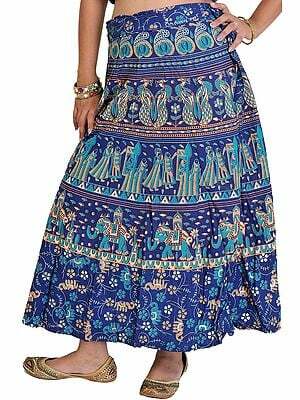 Each of these skirts feature a style of Indian embroidery or prints. 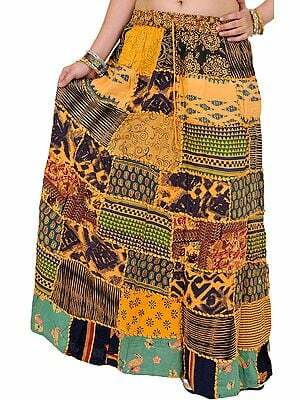 For example, some of these are zariworked using gold/silver wire and set off with handwoven booties, while some are block-printed using local techniques that are endemic to a few rural pockets and could not be found anywhere else in the world. 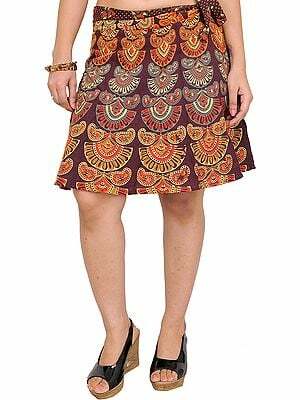 A vast variety of motifs and embellishments (mirrors, appliques) add to the ethnic appeal of these skirts. 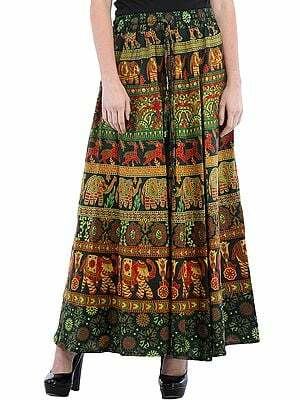 In fact, the kind of foliage depicted on the field could tell you a lot about where it has been fashioned, and the fauna and their adornments have the power to set the mood of your entire ensemble. 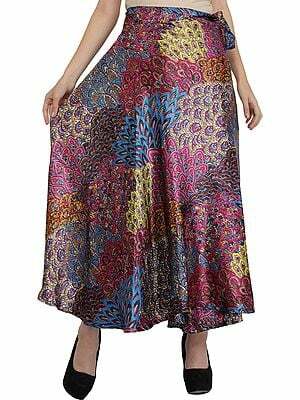 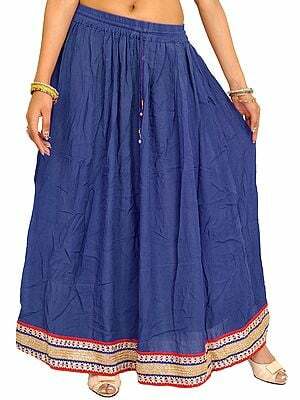 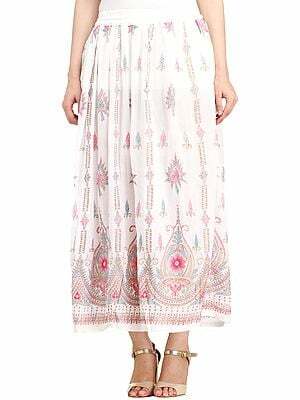 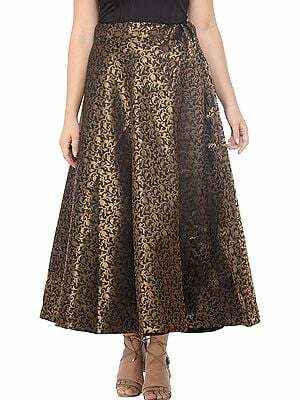 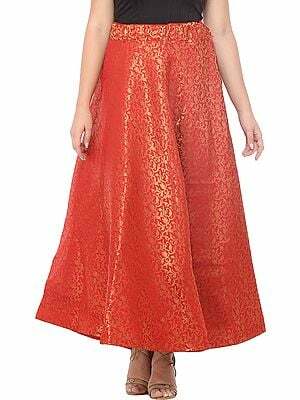 Because these skirts are ethnic they conform to the traditional floor-length cut, even though there are a number of options for you to chooose from should short and sweet be more your style. 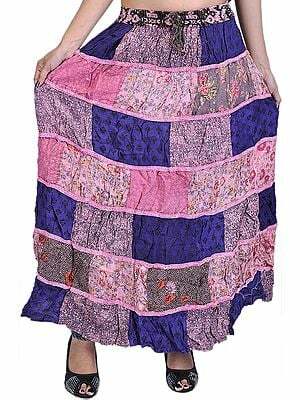 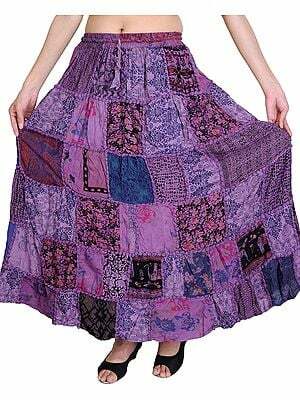 While some of these come in a few colour variations, a lot of these skirts are fashioned after a unique style.